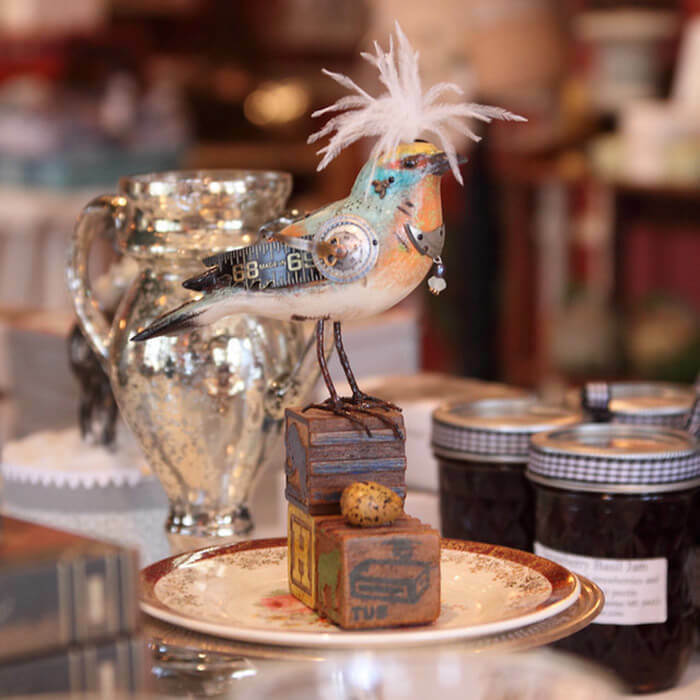 The tiny gift shop “Bird Song” at our Maine bed and breakfast features an eclectic mix reflecting the antique and whimsical qualities of the inn. The shop is filled with well chosen pieces, unique collectibles and products we use here at the inn. You will find our restaurant glasses, antique china, local art, vintage cards, specialty soaps, books, and leather journals. You can expect to find quilted paintings from an English artist, exquisite fair trade cotton throws from an Indian village, beaded bracelets from a Nepalese village, treasures from Julie and Jack’s travels. We also offer locally made pieces; hand woven blankets from a near island, hand sewn angels and elves from our gardener, a woman of many talents.